For the last three years, a research team based at Arizona State University, led by the School for the Future of Innovation in Society Professor and Founding Director David Guston and graduate research assistant Tess Doezema, has been studying how scientists and government agencies in the U.S. understand responsibility. 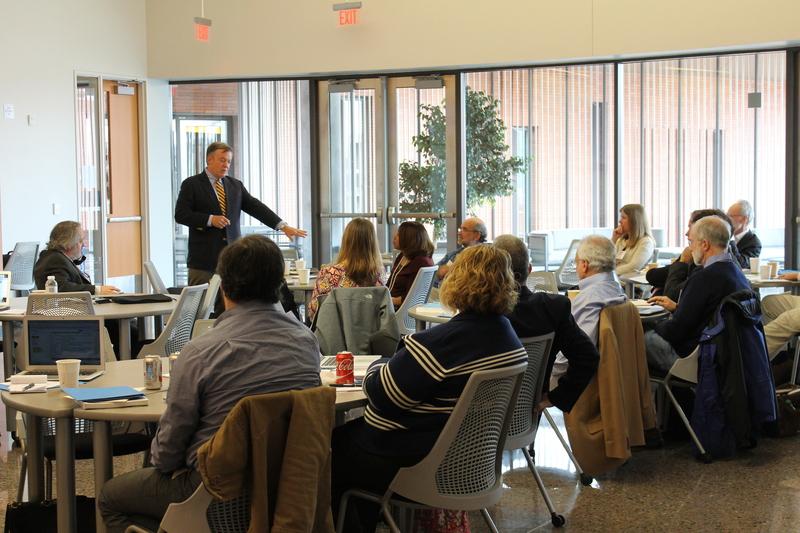 The project began with a workshop inviting key U.S. research and innovation stakeholders to weigh in on what it means to innovate responsibly, and how research practices and policy mechanisms might interact to achieve those goals. The workshop was followed by interviews with researchers at ASU’s Biodesign Institute and two focus groups addressing topics that arose through the research process: one on gender and diversity and one on open access and data and ethics. Responsible Research and Innovation (RRI) looks for ways to think about the potential impacts of scientific discoveries and new technologies on society. It asks researchers to see themselves not merely as neutral contributors to an impersonal body of knowledge but rather as consequential actors within society and to reflect on how they do their work accordingly. RRI also seeks to initiate positive change around the conditions for the production of knowledge itself — what incentives drive scientific knowledge production, and how can we rethink those incentives to get better outcomes? This project, called RRI-Practice and led by a research team in Norway, identified a range of good practices for addressing these concerns across its participating countries. Guston and Doezema targeted their research to form a better understanding at both the federal government level in the U.S. and at the institutional level at ASU, with the understanding that what goes on in the lab is shaped by what happens in Washington and vice versa. Generally, at the federal level, legislation and executive orders address issues including ethics, gender equity and diversity and open access, while independent agencies like the National Science Foundation or mission agencies like the National Institutes of Health help fund research programs that address science education and social engagement. At the level of research performers like ASU’s Biodesign Institute, the strength of response to the RRI keys varies, depending on the particular kind of policy driver. The study also finds that the high-profile reversals around gender and transparency that have occurred at the federal level have not stopped progress on broad trends toward creating more open and inclusive science at the individual institutional level. Specifically, these national developments do not appear to have penetrated to the level of the Biodesign Institute. Values and concerns consistent with past agendas in science policy continue to drive priorities and possibilities at Biodesign. RRI cannot be achieved through closed, elite systems of inaccessible knowledge. It necessitates opening up institutions and making them inclusive to the range of experiences and perspectives that make up our diverse communities. RRI also means making scientific methods, findings and insights transparent and widely accessible, and developing techniques for science education that encourage ways of thinking about the world that transcend traditional disciplinary and culturally shaped boundaries. The U.S. case study focused on Arizona State University’s Biodesign Institute and is now concluded. Read the full U.S. Case Study. The project is funded by the European Commission, in the period 2016–2019. Read the EU Policy Brief. 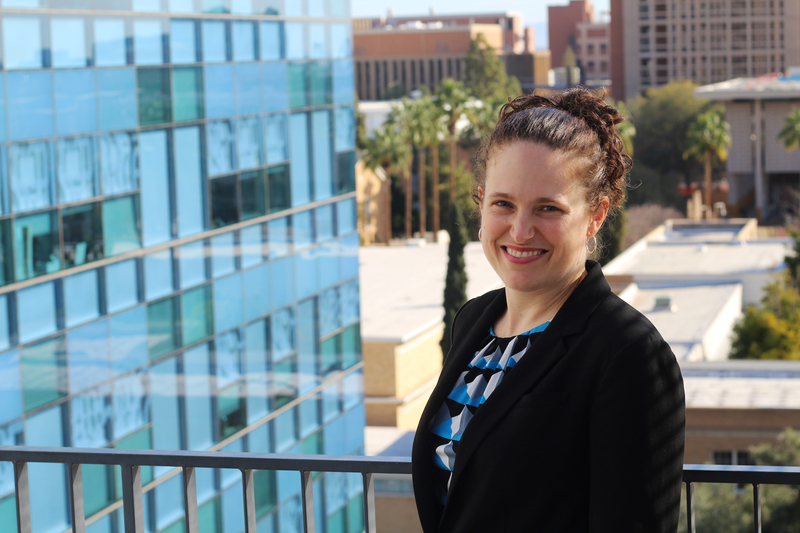 Sarah Allen Gershon returned to Arizona State University, this time not as a student defending her dissertation, but as an honored alumnus of the School of Politics and Global Studies. Gershon, who graduated from ASU with a PhD in political science in 2008, is this year’s Distinguished Alumni Speaker for the School of Politics and Global Studies. Each year the school honors an outstanding alumnus for their accomplishments by inviting them back to ASU to speak with faculty and students. An associate professor at Georgia State University, Gershon’s field of research is American political behavior, where she focuses on women and racial/ethnic minorities. After double majoring in political science and history as an undergraduate from Washington State University, Gershon starting looking at graduate schools with the idea of pursuing a PhD. Initially she thought she would specialize in international relations but after taking a few American politics courses, a newfound passion arose. Gershon would go on to have two future mentors on her dissertation chairs: Patrick Kenney and Kim Fridkin, who are both foundation professors at ASU. Kenney, who is now the dean of the College of Liberal Arts and Sciences, was department chair at the time when Gershon would serve as his teaching assistant. Serving as a research assistant to be both Fridkin and Kenney, Gershon would assist on projects such as the presidential debate held on ASU’s Tempe campus in 2004. That was the first time she had seen an experiment conducted in real time. Gershon would co-author two of the papers that were written out of that data set. For Gershon, it was an empowering experience. Sarah Allen Gershon being given the Distinguished Alumni Award from the School of Politics and Global Studies director Cameron Thies. Upon graduation, Gershon began teaching at Georgia State University. Having already taught a few classes at ASU, learning how to structure them and how to communicate with students, helped Gershon feel more prepared. Although she was no longer a student at ASU, Gershon’s relationship with her mentors was as strong as ever. Kenney and Fridkin would continue to offer support and professional advice in the coming years. In 2016, Gershon was excited to be able to work with Fridkin again on a debate study funded by an NSF grant. "Sarah and I are working together on exciting research exploring how people’s emotional reactions influence their understanding of political communication," Fridkin said. "It is extremely rewarding to have witnessed Sarah’s transformation from a first-year graduate student in my research methods seminar to a first-rate scholar with an impressive record in scholarship, teaching and administration." While back in Tempe, Gershon gave a colloquium to faculty and students titled “Shared Identities: The Intersection of Race and Gender and Support for Political Candidates”. This project was a collaboration with three other political scientists and looks at how voters feel about candidates who share their racial, ethnic and gender identities. Being back on campus to present her work was a surreal experience for Gershon.